When you hear the term long-term care insurance, does it make you jump for joy or run in fear? A problem that has been floating around in the long-term care insurance industry is one for the insurers themselves. According to a recent article in the New York Times, it was discussed how many policyholders in New York, among many other states, are now getting letters from their insurers informing them that they are going to have a rate increase of 48 to 60 percent! This is not the experience that makes someone feel warm and fuzzy about their insurer. Especially after buying the policy that will make a huge difference in their life when they need to access the benefits. The problem, and why these drastic rate increases are happening is explained in the article. To summarize, insurers use actuaries who determine the risk the company is going to face, and more importantly how to price that risk so the company can stay in business, make a profit, and still pay its claims. “Insurance regulators in many states have been approving large increases in long-term care premiums for older policies, as it became clear that insurers badly misjudged the pricing on the policies and are losing money on them. In particular, regulators say, insurers overestimated the number of consumers who would let their policies lapse before filing claims. That means more people are holding on to the policies, raising the likelihood of more claims” (Carrins, 2015, pp. 2). The reality of long-term care insurance is twofold. One, 70% of people age 65 and older will need some form of long-term care services that will not be covered by Medicare. Two, long-term care services are incredibly expensive with quality home care services starting around $25 through an agency, up to $500 per day for residential facility based care. The bet that insurers made on policyholders letting those policies lapse, not having to pay out potentially hundreds of thousands of dollars on a single claim did not hold true, and now they need to make adjustments. That is why it is crucial you take the time to investigate all the companies you are considering for long-term care insurance. You should review their records with the State insurance regulators to see how often they request rate increases, how much those requests are for in terms of percentage increase, and how they are rated by 3rd parties (Standard & Poor, Moody’s, etc.). You want to see if they have the financial strength to pay out large claims without taking a rate increase or finding a way out of paying the claim at all! It is a lot of work to take on, and that is why by working with a trained, licensed, and skilled professional you can avoid this costly mistake in California long-term care planning. Fill out the form to the right of this page to contact your California long-term care specialist today for a no-cost, no-obligation review of all your options, and the companies that can provide them. This entry was posted in long term care insurance california on September 14, 2015 by Katie. In a recent article from U.S. News & World Report is was demonstrated how technology is making senior care and safety easier on the pocket book for those receiving care, and on the home health agencies providing in-home care services. If you haven’t thought about planning for your long-term care needs, or just thought it might not impact you like it does for 70% of people age 65 and older, you could benefit from using technology to help manage your care, and communicate with your care team and loved ones. According to the article, “Every morning, Marion Berg measures her blood pressure and heart rate and then uses a tablet to relay the results to her health care team. At 101 years old, the Sun City, Arizona, resident says the system is a change for her, but one she likes. Using a tablet is new to me, but my health care coach is helping me learn every week when she visits my home, Berg says. Berg participates in the Banner iCare program, and her experience is one example of how long-term care plans are integrating technology as a way to reduce costs and improve quality of life” (LaPonsie, 2015, pp 1-3). By using tablet technology, people receiving care can manage their records, communicate with loved ones, and be in touch with their care team at the push of a button. This is helping people who may not have the resources to pay for full time care, or who need to stretch their care dollars a little further along. This Long-term Care at home technology falls under three common use types. The first is the independent use systems. These systems are how health providers and family members can remain up to date on the condition of their loved one. Authorized users can receive care alerts, be updated on medical status, and receive alerts based on safety and care concerns programmed into the tablet application, i.e., high blood sugar level, fall incident, distress call. The second use for this technology is virtual reporting. This use coincides with their third common use of 24-hour monitoring. Tablets installed in loved one’s homes can be used for video conferencing, and can activate the microphone and camera so that a care team member, or family member can simply open the app on their phone or tablet and see how their loved one is doing. Depending on the level of care needed, the technology can also create alerts if appliances like a TV has not been turned on that day, or if the fridge has not been opened that day. Although it may sound a bit big brother, being alerted on little things when your loved one requires extra care can help alert you to potential problems before they become real issues. If you would like to learn about ways you can retain your independence and help cover the costs of long-term care services in the home or at a professional residence, contact your California Long Term Care specialist today for an educational review of your options. This entry was posted in healthcare professionals, long term care insurance california on August 11, 2015 by Katie. Is Your Mental Model Flawed In Long-Term Care Planning? As medical technology continues to advance and people are able to fight off diseases and recover from conditions that could have meant their death 30, 40, 50 years ago, you begin to wonder if your thoughts on long-term care planning are also in the past. He contends, because this is how people have grown up, they have built a model in their mind that says, this is what happened to my parents, this is what will happen to me. This could explain why that even though statistics show 7 out of 10 people age 65 and older will need some form of long-term care assistance, the vast majority of them have not planned for it, and usually just change the subject when the topic comes up. According to Dr. Chernoff, because of medical breakthroughs and the fact that people are living longer, it is time to change that mental model. The other issue Dr. Chernoff brings up is the lack of education on the topic of long-term care planning. Many people simply do not know what is available to them, what options they have when it comes to planning, and what considerations need to be made before that health event takes place, and you need to access long-term care services for yourself or a loved one. Have you taken a few minutes out of your day to design what your future will look like should you require long-term care services? If you have not, there is no better time than right now to click the link below and schedule a free no obligation review for long-term care planning in California today. You are planning to live a full life, make sure it is how you envisioned it no matter what happens. Contact us today to explore all your current options. 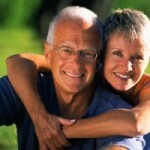 Fill out the form to the right and start with your free guide on Long-Term Care Insurance.. This entry was posted in long term care insurance california, long term care insurance prices california and tagged Ca Long Term Care Planning on August 3, 2015 by Katie. When planning your retirement, the possibility of needing some form of long-term-care becomes a 7 out of 10 chance after age 65. You could get lucky and live a full and healthy life without ever requiring long-term-care services in California (3 out of 10 people), or you could fall under some level of assistance from short term in-home care, to long term skilled facility care (the other 7 out of 10 people). Proponents of long-term-care such as Dr. Mark Meiners, a professor of health administration and policy at George Mason University, says, “That isn’t to say long-term-care insurance is right for everyone. It is not. The wealthy can be reasonably sure their savings will be enough to pay directly for long-term care, whatever its duration. And despite concerns about quality, Medicaid is there for the poor. But what about consumers with midlevel savings—in other words, most people? These consumers need long-term-care insurance the most. They tend to have too little savings to pay for even a couple of years of care without impoverishing themselves and their families, and too much to qualify for Medicaid” (WSJ, 2012). Opponents of long-term-care such as Prescott Cole, a senior staff attorney at California Advocates for Nursing Home Reform say, “For those with little wealth, a policy will never be suitable. They will be covered by the long-term care provided by Medicaid. For individuals with incomes of at least $250,000 a year and substantial savings, the smarter move might be to either self-insure or use their resources to pay for high-level in-home health care. For mid-wealth individuals, the answer is not so clear. The average annual premiums for policies sold to seniors run around $3,500 per year. But few—if any—policies pay 100% of the daily private pay rate, currently about $250 per day. Policies typically pay $150 a day. So, even a resident with a policy will have to dig into savings to pay the difference” (WSJ, 2012). Mr. Prescott’s argument is one of setting up a savings plan in the event something should happen. While they may be a great idea, most people are simply not disciplined enough to set aside $3,500 per year for 30 years with a strong rate of return, and with the stock market cycles, you never really know if 30 years from now your investments will flourish or flounder at the time you need them most. People buy car insurance with the odds of 1 in 340 suffering a loss, or 1 in 1200 home insurance policies suffering a loss due to fire. In long-term-care, after age 65, 7 out of 10 will need to access some level of benefits or pay out of pocket for care. Dr. Meiners says it best, “The important thing to understand is that there are a wide range of policies offering different degrees of security, but all preferable to taking the chance of being financially decimated. According to estimates done by the American Association for Long-Term Care Insurance, a typical couple buying a shared policy providing immediate benefits worth $328,500 at age 55 pays an annual premium averaging $2,700. By age 80 their joint benefit has grown to $708,000 with the built-in inflation protection. Alternatively, a typical couple buying a shared policy with $219,000 of coverage could reduce their premium by about 20% to 25%. That’s a viable option for those who are worried about this risk. If more coverage is affordable, buy more coverage. But some is better than none” (WSJ, 2012). 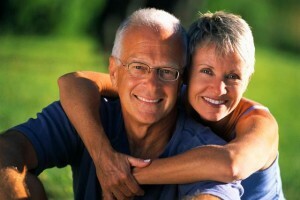 Start your California long-term-care planning today. Contact us today for your free and confidential review. This entry was posted in long term care insurance california, long term care insurance prices california on July 27, 2015 by Katie. When You Are In Long Term Care, Hope This Never Happens To You! Unlike your neighbors, you were smart; you planned, did your research, knew the benefits of planning for your long-term care needs in California, purchased a plan, and began to enjoy the peace of mind knowing you are protected. You receive a letter one day stating your premiums are going up 85%. How could this be, you planned everything out, researched the options, and selected a plan that promised fixed premiums for life with no risk of rising costs. If you have been following the CalPERS class action lawsuit in California, you would know, this is exactly what happened to approximately 150,000 long term care insurance policy buyers that bought certain policies from 1995 to 2004. According to the class action information website,” This is a class action lawsuit that seeks relief for individuals who purchased certain Long Term Care (“LTC”) insurance policies through CalPERS and have been subjected to recent premium hikes of approximately 85%. The complaint alleges that CalPERS promised its policyholders that the premiums for its LTC policies were fixed for life and would never rise. While this case is still ongoing at this time, it is estimated that settlement from this type of litigation could take 2.5 to 3 years! What if you were already accessing your benefits? What if you had not planned for any increased costs? Would you be fully protected under the suit when you’re in a nursing home? If you want to avoid the pain and confusion that happens when a program underprices their policies to make a quick influx of cash, you need to obtain competent and professional assistance. The California Long Term Care insurance agents study their carriers’ every day to know the best and most price stable policies available on the market. Unlike car insurance where you can shop and take advantage of short-term pricing opportunities, long-term care insurance is a policy you typically buy one time and keep until you need to access the benefits. It is possible to save money, but make sure you work with a professional so your plan does not become a legal nightmare later in life. Get Started Planning Today, Contact Your Professional CLTC Agent Now! This entry was posted in long term care insurance california, long term care insurance prices california, Uncategorized and tagged Calpers Long Term Care on July 20, 2015 by Katie.